Let’s make a Christmas tree for the wall. 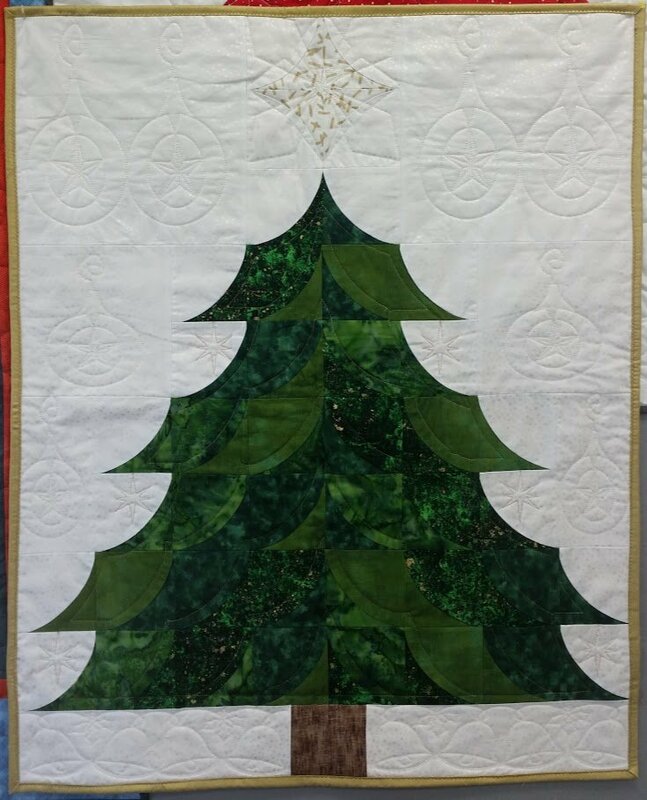 This wall hanging is 28'' x 35'' and can be embellished with battery operated lights, buttons, bows, or tiny ornaments. Quilting with metallic or colored threads with add a special sparkle to your holiday décor.